NEW YORK -- The pilot of the plane carrying actress Carrie Fisher as she suffered a medical emergency told air traffic control, “We have an unresponsive passenger,” according to audio from the flight. The audio, which was released on Saturday by LiveATC.net and obtained by the Reuters news agency, offered insight into events as they unfolded during Fisher’s medical emergency on Friday. She was flying from London to Los Angeles. “Is there medical personnel at the gate?” the air traffic control operator asked. “Yeah, we’ve coordinated medical personnel for the gate,” the pilot responded. 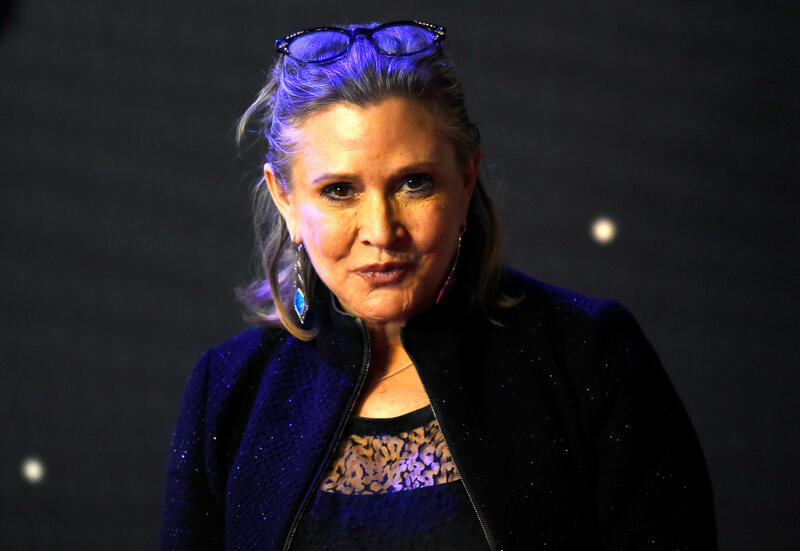 Tributes and well-wishes continued to pour in for the “Star Wars” actress on Saturday, as she spent Christmas Eve in a Los Angeles hospital. “Princess Leia can survive anything!” one fan wrote on Twitter. “Hold on, Carrie Fisher. We’re taking you into 2017 with us,” wrote another. Todd Fisher, the actress’ brother, said Friday night that his sister was receiving excellent care, but that he could not classify her condition. He had earlier told The Associated Press that she had been stabilized and was out of the emergency room. In a subsequent interview he said many details about her condition or what caused the medical emergency are unknown. Carrie Fisher survived alcoholism, addiction, depression, bipolar disorder & 60 years in Hollywood. If anyone can survive 2016, it's her. A law enforcement official told CBS News Fisher went into cardiac arrest. Celebrity website TMZ, which first reported the incident, said anonymous sources told them the actress suffered a heart attack. She was treated by paramedics immediately after the plane she was taking from London landed in Los Angeles, according to reports citing unnamed sources. Fisher’s publicists and representatives for her mother, Debbie Reynolds, and her daughter, Billie Lourd, did not return calls from the AP. Fisher is considered by many to be a member of Hollywood royalty -- her parents are Reynolds and the late singer Eddie Fisher.